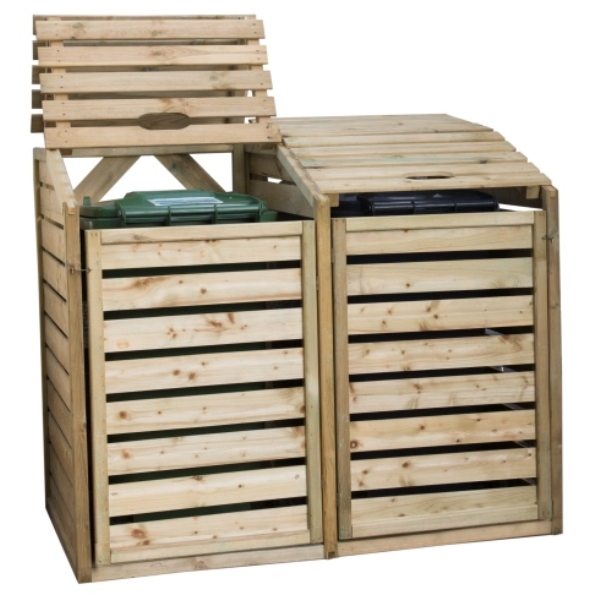 The Double Wheelie Bin Hide from Forest is designed to hide unsightly bins and keep your garden looking neat and tidy. It is big enough to house two wheelie bins, with each having its own independent front door and bi-fold lid to allow for easy access. When not in use, a small hook and eye fastening on each side keeps the doors firmly shut. 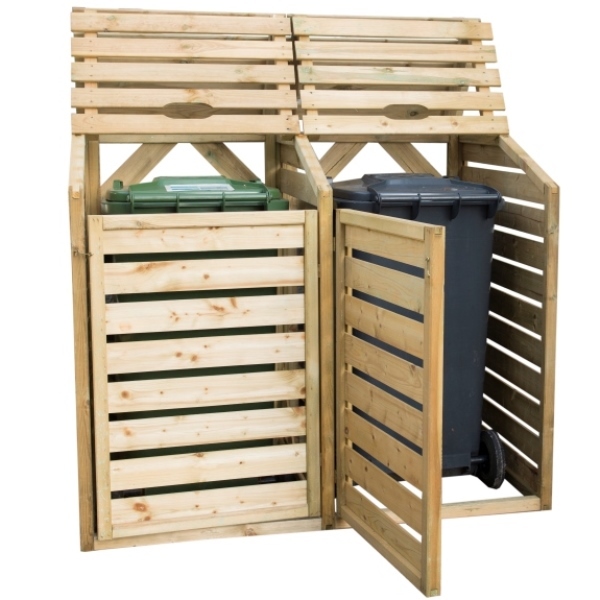 Manufactured from smooth-planed, pressure treated timber boards, this durable bin store has been designed to last year after year. Supplied with a 15 year guarantee against rot and fungal decay. Home assembly required. The wood preservative treatment is forced into the timber at high pressure giving increased protection from the elements and removes the need for annual treatment. This outdoor store is therefore supplied with an extended 15 year manufacturers guarantee against rot.